OXFORD, Miss. 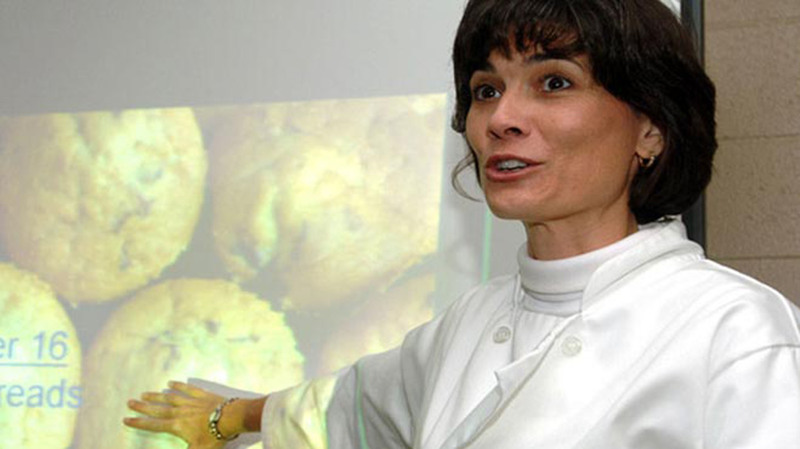 – Combating the state’s obesity epidemic starts with teaching our children the principles of healthy eating, which is the focus of Laurel Lambert, associate professor of nutrition and hospitality management at the University of Mississippi. While Lambert’s past experiences as a registered dietitian include medical nutrition therapy and institutional food services, her research focus is child nutrition. Along with school meals, schools also often prepare afternoon snacks. Healthy snacks can be prepared and consumed both in and out of school with a little nutrition know-how. “Snacks are a great choice because children have little stomachs,” Lambert said. “We don’t want them to eat until they’re stuffed. In the past, I’ve worked with child nutrition development researchers, and they found that by age 5, children can lose the skill to identify when they’ve eaten too much, so snacks can teach basic feeding principles. Finally, it is important to follow a snack schedule when feeding your child, Lambert said.